Tin round silvery belt buckle, in the shape of triskele. 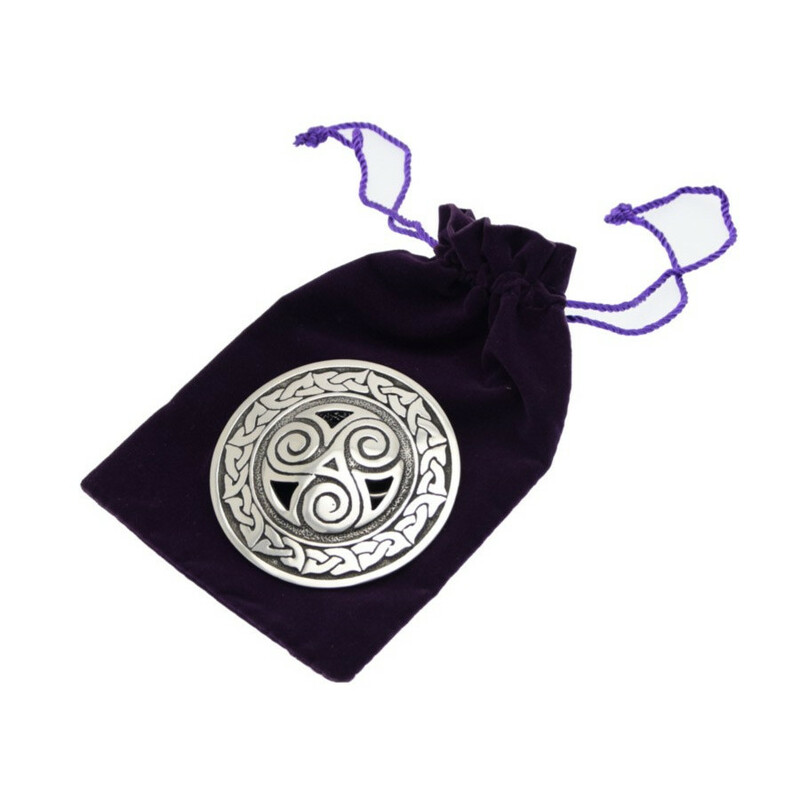 Beautilful round silvery belt buckle in the shape of triskele. 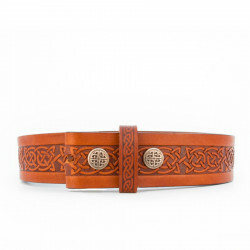 The latter would symbolize, according to the celtic legend, the past, the present and the future. Delivered in a velvet bag, closing with a string. 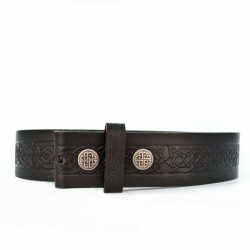 Unisex black leather belt decorated with beautiful interlaced celtic patterns.